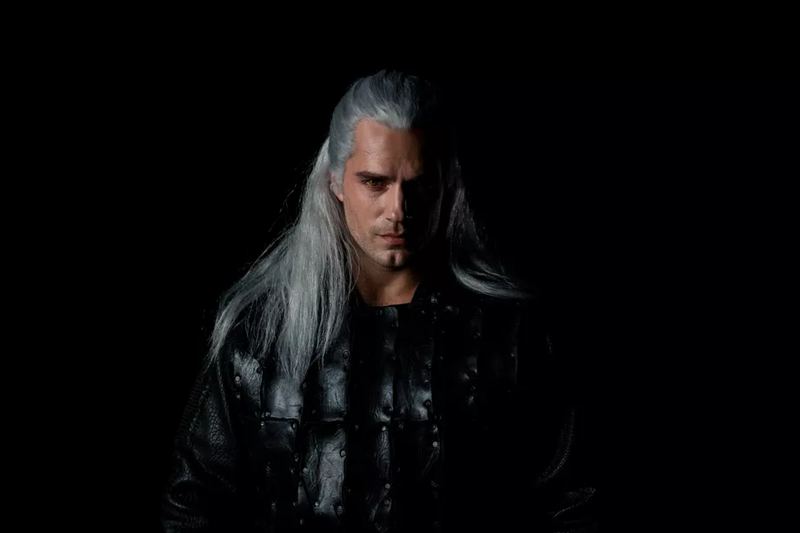 Netflix has given fans their first look at Henry Cavill in costume as Geralt of Rivia in their upcoming series The Witcher. Netflix’s US account posted a video of Henry Cavill suited up as Geralt himself, and his get up is surprisingly true to the source material. Don’t worry, Witcher fans; he’s even sporting a long white wig. To be honest, Cavill looks about as good in the role as anyone would expect him to. The wig does look a bit strange, but those sort of things tend to look a lot better in the finished product than in these early behind the scenes teases. Cavill still looks a little too young for a character who’s supposedly been around for a fair few decades, but I guess they can explain that away quite easily, given all the magical potions and enhancements needed to become a witcher. The show is set earlier in the timeline than the games are, so that would also explain the lack of a scar over his eye or facial hair. We’re still yet to get a look at Freya Allen and Anya Chalotra as Ciri and Yennefer, but seeing as we’ve already been given a look at Geralt so early in production, it can’t be too long before we start getting a look at the series’ other lead characters. Hopefully it won’t be long before we get an announcement on who will be playing Dandelion, a character very important to Geralt in the books and video game series. Meanwhile, it has been announced that Anna Schafer (Hollyoaks) will be playing Triss Merigold, another sorceress and sometimes love interest for Geralt. Schafer isn’t the first former Hollyoaks star to land a role in a fantasy drama; Nathalie Emmanuel, who plays Missandei in Game of Thrones, also begun her acting career in the British soap opera. Schafer wasn’t the only new casting announced. Netflix also confirmed that Eamon Farren (Twin Peaks) will play Cahir aep Ceallach, Joey Batey (Knightfall) will play Jaskier, Royce Pierrson (Wanderlust) will play Istredd, Maciej Muslał will play Sir Lazlo, and Wilson Radjou-Pujalte (Hunter Street) will play Dara. Interestingly, Lars Mikkelsen of House of Cards and Star Wars Rebels fame has been cast as Stregobor, a dark wizard with ties to Princess Renfri, who will be played by Millie Brady. That just leaves Dandelion. Hopefully it won’t be too long before we get that news too. What do you think of Henry Cavill all suited up as Geralt of Rivia? Let us know in the comments. The Witcher will air on Netflix sometime in 2019.